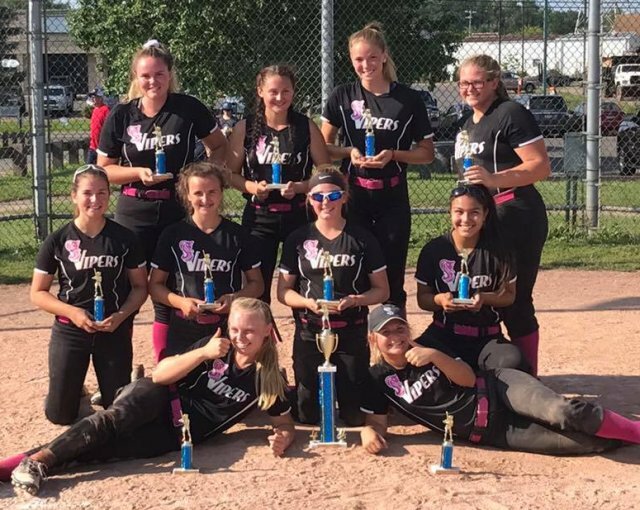 The Vipers Softball Organization is dedicated to providing high-caliber, competitive softball for girls looking to take their game to the next level. 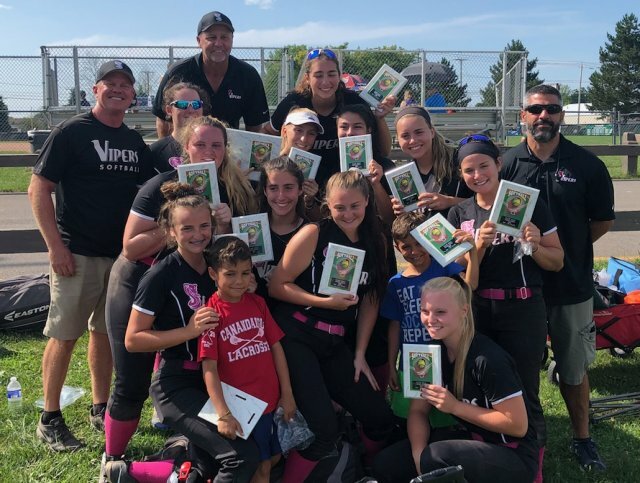 All of our USA Softball certified coaches are students of the game who are dedicated to improving not only their players’ skills but also their own coaching skills. 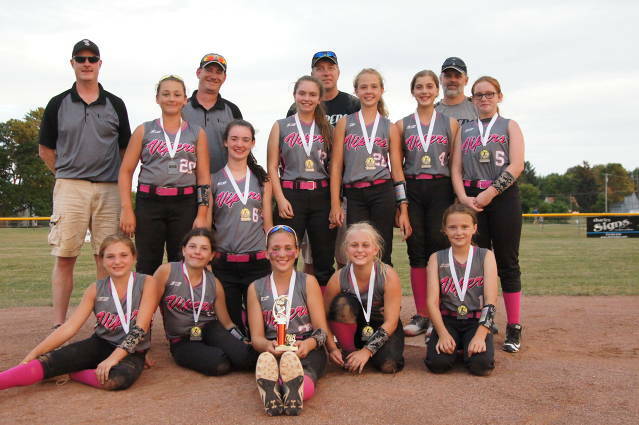 As an organization we value and accommodate the all-around athlete and encourage girls to play multiple sports. 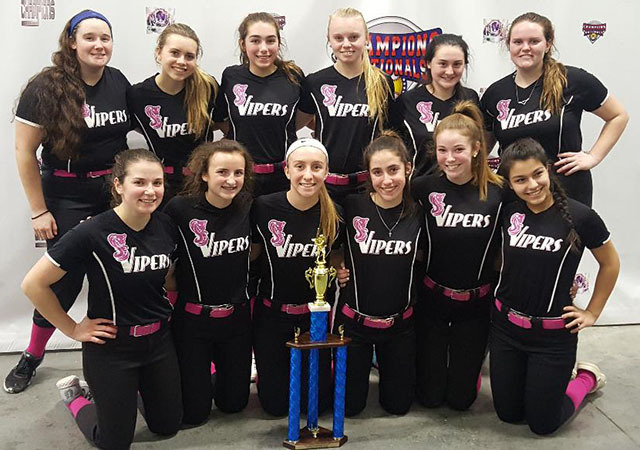 Opportunities for improvement are abundant including a new Vipers-only pitching simulator batting facility which is available year-round. 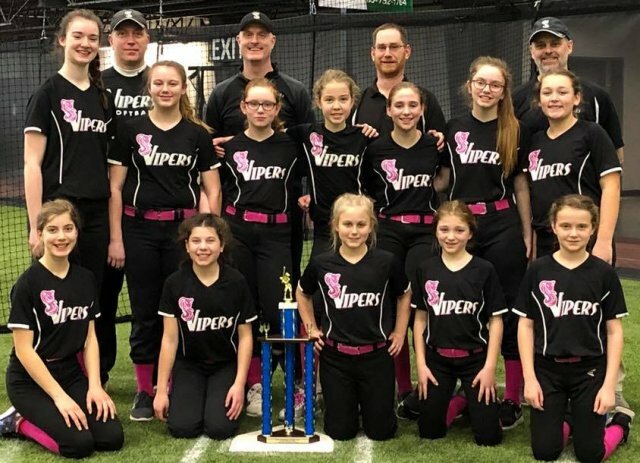 In addition, off-season practices at indoor turf facilities, separate pitching practices and catching clinics provide numerous options for even the most enthusiastic players. 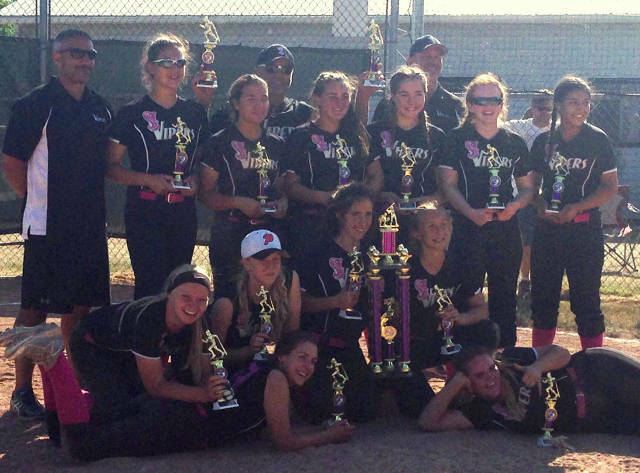 We compete at a high level, as can be seen by many tournament championships and strong finishes. Join our family and realize the benefits 100 current players are enjoying. The new Vipers Nest hitting facility features a simulator pitching machine so the players can face "virtual" live pitching all off-season. 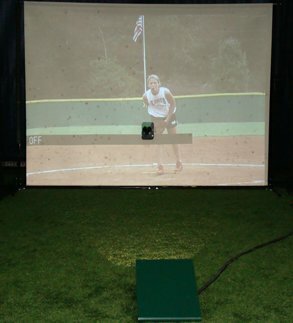 There is no substitute for hitting in softball and there is no better option to work on hitting than a pitching simulator (because you can't find a pitcher to throw that many pitches). Our players get between 150 and 200 swings off of live pitching each practice. Program approach to skill development. 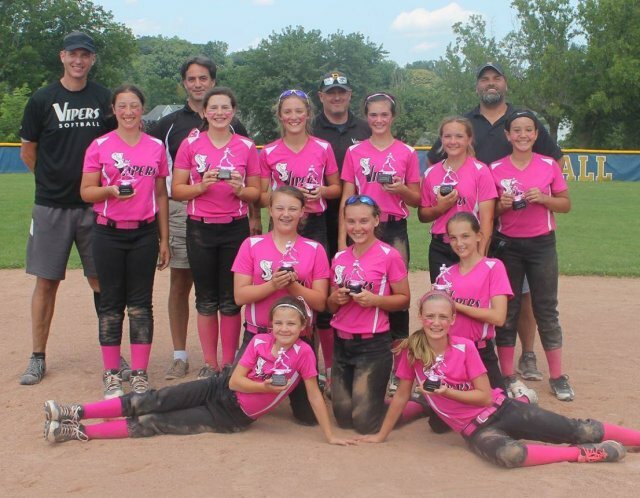 We utilize top-notch indoor and outdoor facilities throughout the year. 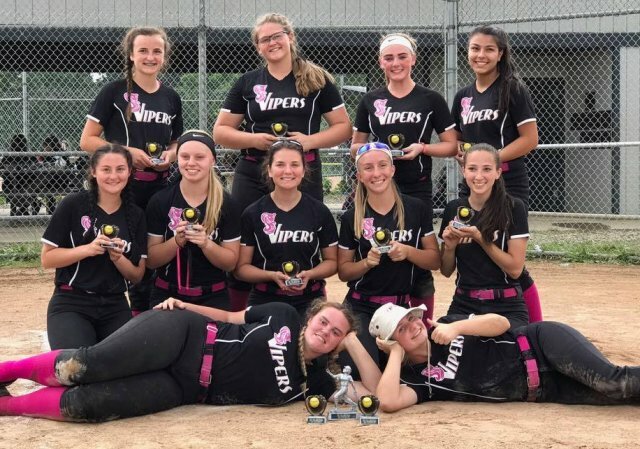 We help those players who want to connect with college coaches to do so - from bringing in ex-college players to help with seminars to coaching tools to connect with college coaches on your behalf. 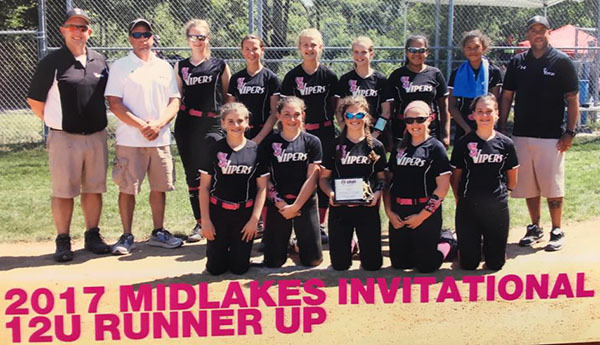 Convenience – The convenience of a top softball program with the ability to stay relatively local for practices and many games. 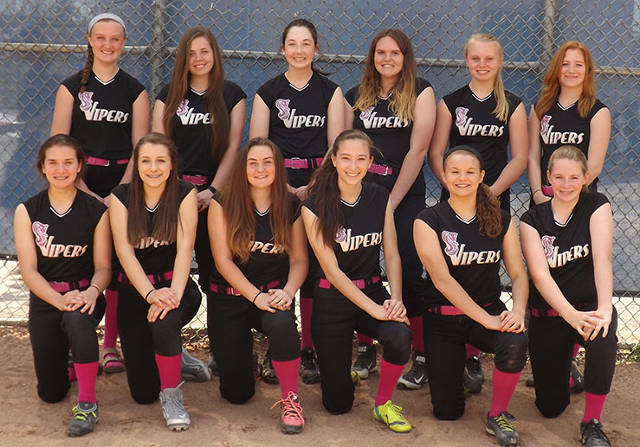 We will be utilizing the local indoor turf facilities for practices, batting, clinics, and potentially winter games. We have great access to the 4 skinned fields on the Victor Central Schools campus. 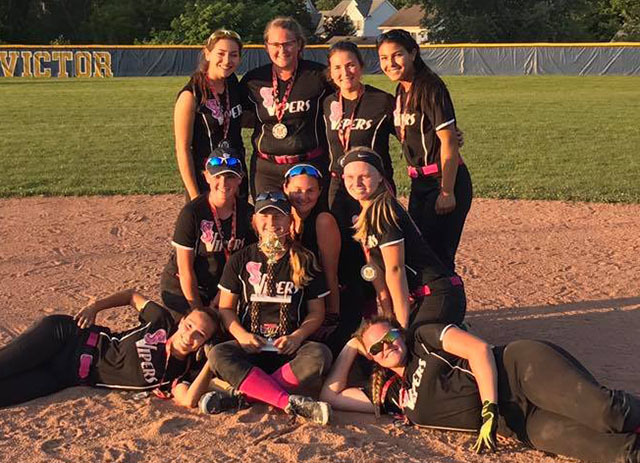 A “Softball Family” – Often these are players from the same or neighboring school districts. 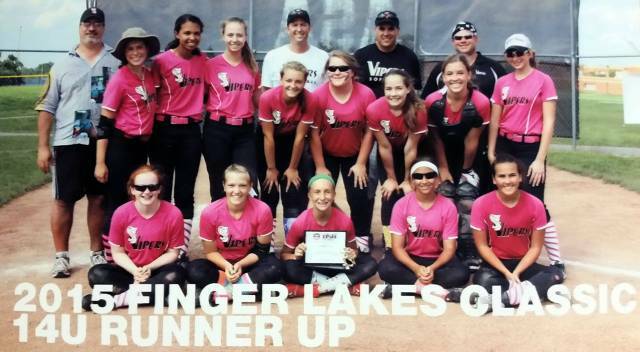 Players and families develop great bonds and relationships that last for many years. 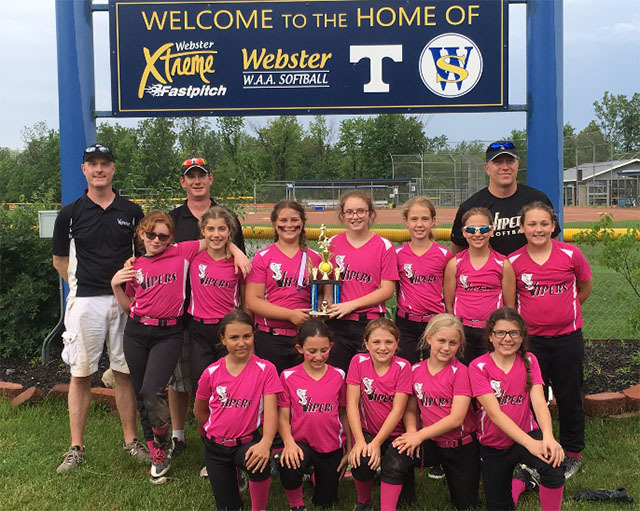 Cost – A lot of softball for the money: 6 tournaments (our younger 10U team plays 3 to 4 tournaments) - 40 to 55 games in total depending on the team, league games during the week, off-season skill development, additional "program clinics", and specific pitchers, catchers, hitting sessions. 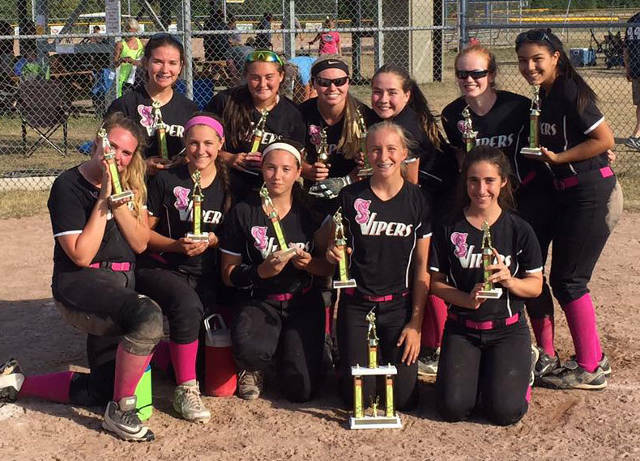 Vipers-Select again defends the #1 seed beating a good RBI Lightning Fastpitch team to win the tournament. 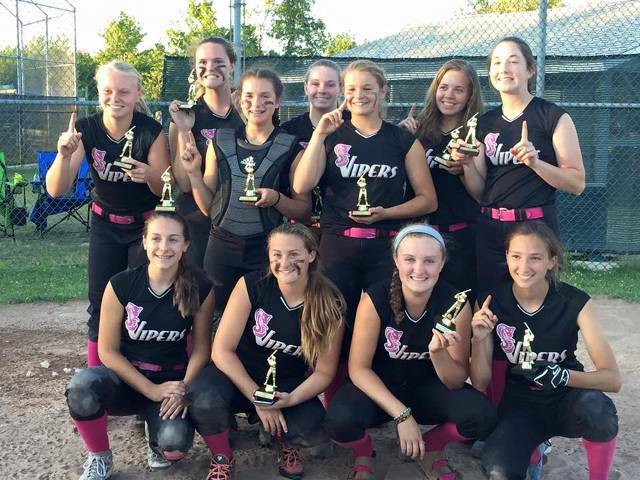 Vipers 16U goes 6-0 for the tournament and beats the Lady Lions in the championship. 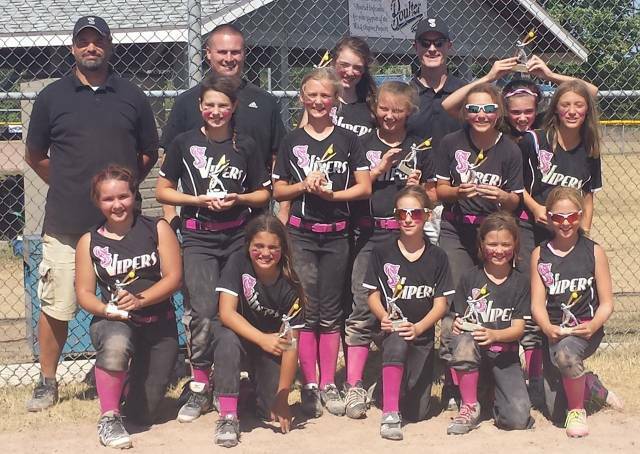 Vipers-Select defends the #1 seed and beats a good Eyota team to win the tournament. 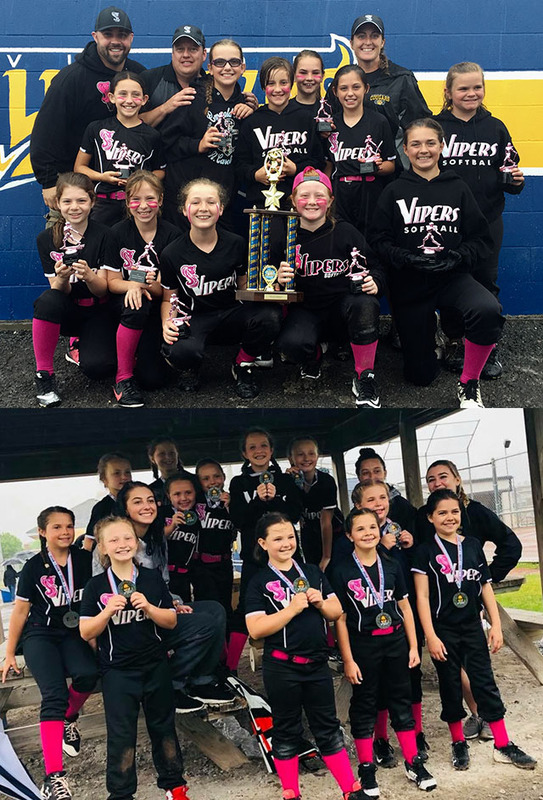 Great tournament for 10U as the Vipers come in 1st and 2nd in the rain-shortened tournament. 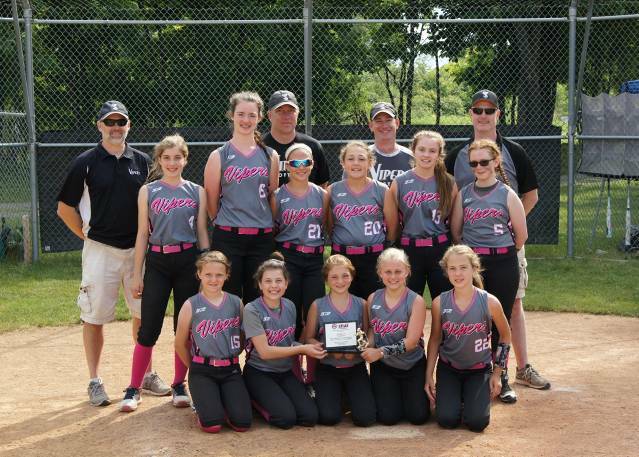 Great tournament for 12U Pink as they are runners up against some tough competition. Fun way to start the season going 4 and 0, scoring 28 runs and only giving up 2. 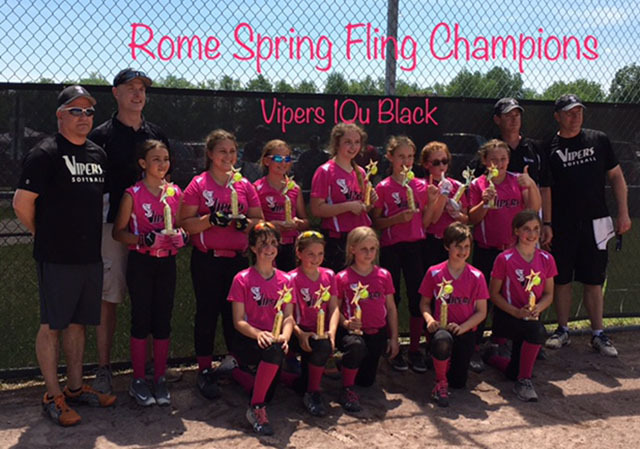 Vipers 10U Black closed out the season with a convincing 5-0 win against a strong Webster Xtreme team. 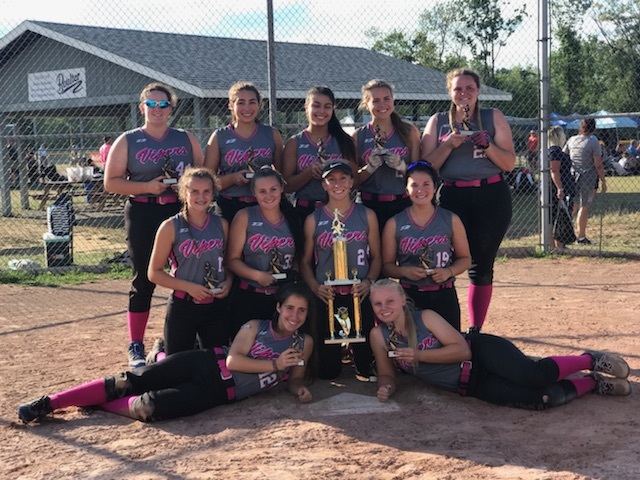 16U Select went 6-0 for the tournament and beat a strong Freeze Softball team 14-4 to win the championship. 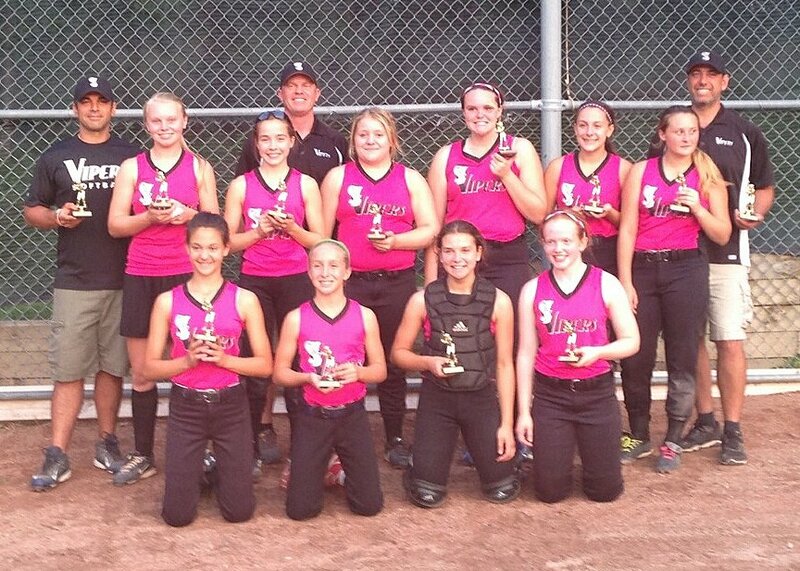 12U Pink beat the CNY Bombers 9-7 in the championship game to win the tournament. 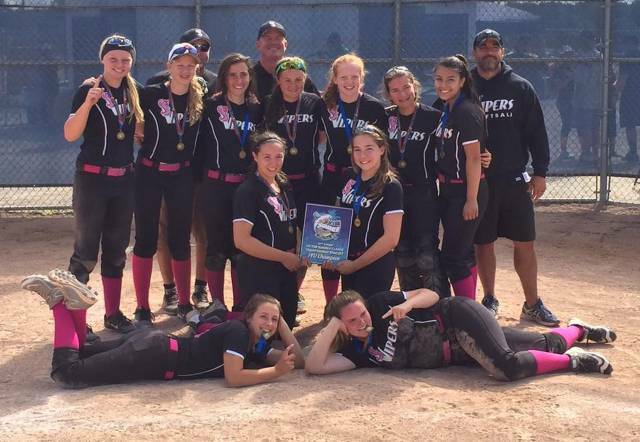 16U Select went 5-1 for the tournament and lost a great championship in the bottom of the 7th inning. 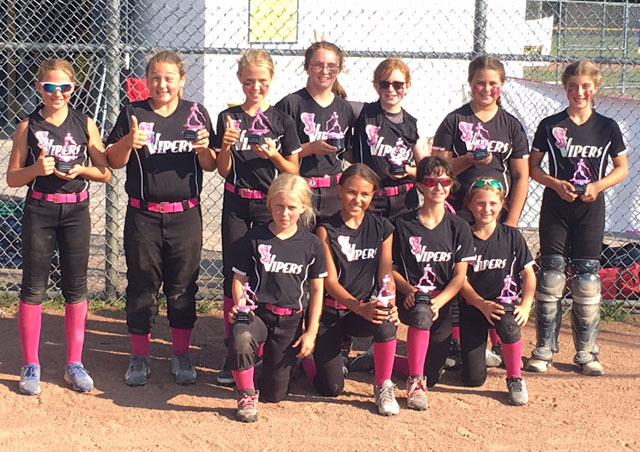 Vipers-Pink goes 4-1 making it to the championship game. 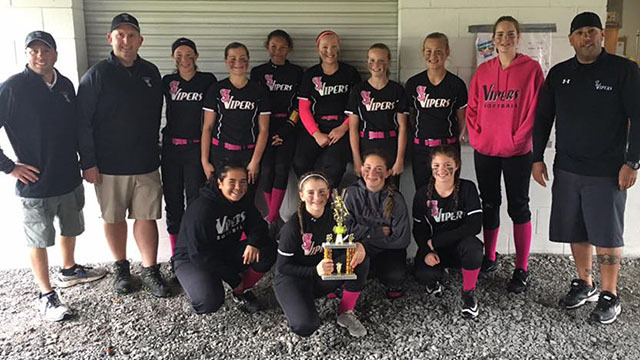 Despite the rain-shortened tournament, the Vipers-Black 14U team beat 3 very good teams, earning an ASA bid. 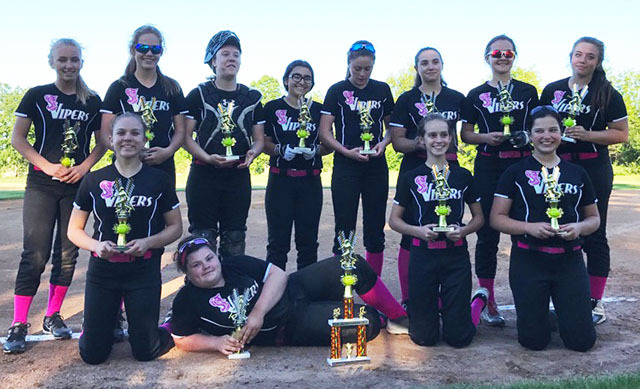 A strong run through the playoffs capped off by a 5-3 win over Revenge in the championship! 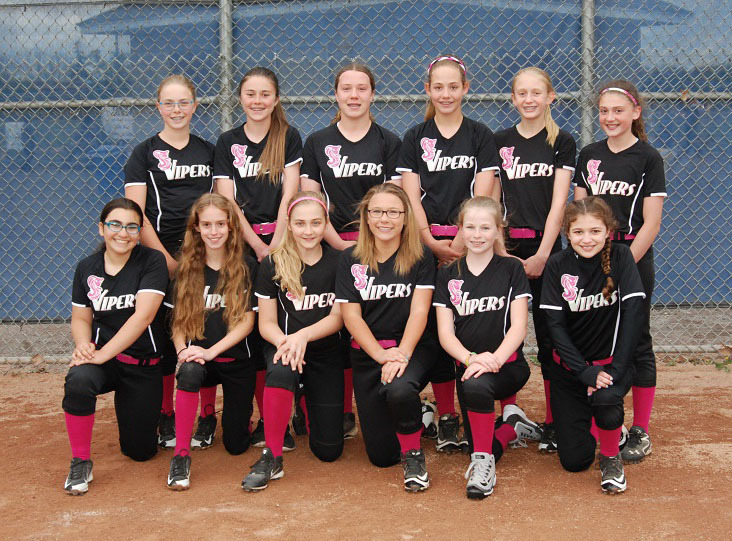 Announcing Vipers 2019 10U Tryouts!! 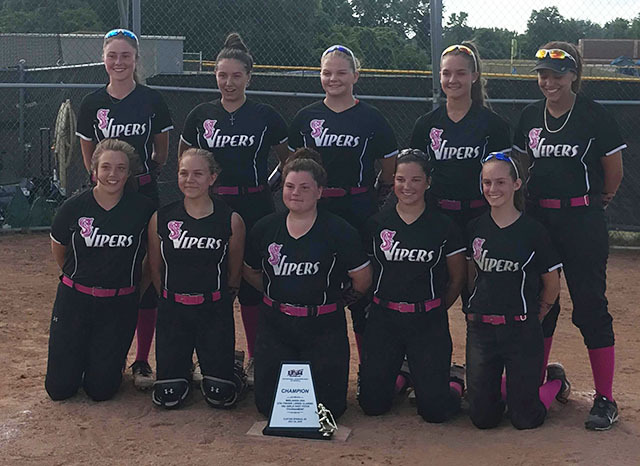 10U/12U VIPERS NEST TOURNAMENT IS NOW OPEN! !